Simply Watercolor Card Class! REGISTRATION OPEN! Hello, all! I’m so happy to announce my new online class, Simply Watercolor! 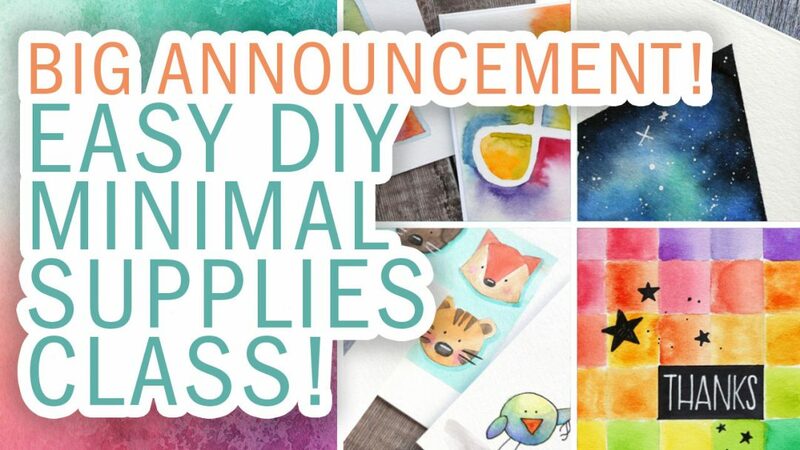 I’ve heard from many of you that you love my minimal supplies card videos, so I’ve taken that idea and created a whole class of cards using not much more than simply watercolors! Check out the details in the video below! I also have a sale price for you. Get $2 off the class price through this Friday! REGISTER NOW! At CHA! New Video Coming Friday!